I see you got a tentacle in there! When trying to find something, I try to look in the last place first. It doesn't work all the time, though. Hey! I just realized...that's my title suggestion! Thank you, whoever! Your suggestion, customised slightly by Miss Wolf. It was just so topical to the last convo on the other thread. I like sweet potatoes when served as candied yams. Brown sugar makes things better! Diane has a recipe that includes crushed pineapple and brown sugar...really yummy. But plain? No thanks. hopefully the cookery book new owners know the treasure they haz. i would love to see the joy of cooking book before anyone cared about cholesterol and yuck margerine. Well to be honest, over this side of the pond it was quite a while after the war before rationing ended and butter and similar stuff was in fairly short supply. Margarine was used in a lot of cooking. Cakes were made with marg and pastry etc was made with margarine or lard (rendered down and clarified pig fat). Puddings and some Pastry could also be made with suet, which is teh fat that comes from arounfd the heart and kidneys of cattle or sheep . Suet Pastry tends to be softer in texture, even when baked.. Dripping was saved from when a roast joint of meat was cooked, and that was eaten spread on hot toast instead of butter, something that is almost never heard of today. I can imagine what the fancy nancy health conscious people would think of the idea of spreading pure beef fat onto bread or toast, probably lightly sprinkled with salt (another baddy nowadays). But quite seriously, in this country at least, some experts are deciding that cooking with lard and using lard instead of veggie oils is actually healthier. and we may have been wrong in wanting people to use veg oils instead. I remember margarine. 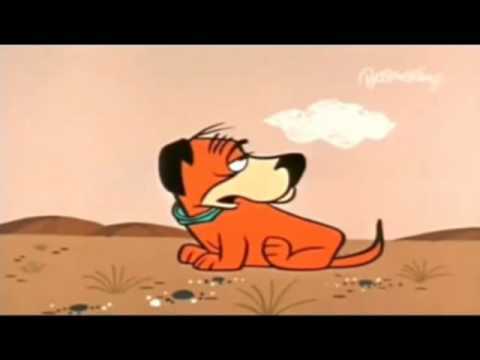 (*gag*) Even here in the US when I was young. I had no choice it's what mom bought. It's what I thought was "normal". Then I ate at a friends house and had butter and realized what crap margarine is. I could believe that it was not butter. Now 60+ years later I love butter. I don't put it on bread or toast and I don't eat a lot of stuff that requires it but when I do it's butter, unsalted butter. It's the only thing I use except for cooking oils. the christmas cookie recipe i used in the 70s was half butter, half crisco shortening. butter dough out of the cookieshooter too soft to stick. 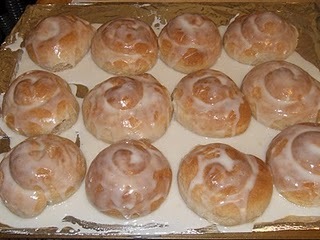 thinkin of trying makin honeybuns this year. cannat believe is end of September already. every year i promises myself one of those mini bundt cake pans. my nana didn't have any fancy pans. i mean, doesn't make it taste better. Naaa, actually that would be easy... There is a lot of written info still available and the forums here are great. I hate asking in some software forums because either there are language barriers (translation) or people don't fully read or try to understand what you are asking... It often seems like they only read a few words and jump to an answer... I appreciate they tried, but then you have to re explain it several times and often it just makes it worse because the origin question was probably formated the best and in trying to find a different way to express the question, you just have more people only skimming the thread and answer stuff you never asked... So generally I just try my best to find the answer on my own and not bother anyone... But over here, it's different... Mostly, people do read the question and try to answer that. I've often seen people chide someone for not using Google first... I don't know if it's just me, what I search for, or just fate, but Google is not my friend... More like cruel, mocking antagonist, because it hardly ever gives me what I'm looking for (without trying twenty version of the topic) easily or quickly... unless I'm googling something really, really stupid. and then the most innocent of questions runs into rule34. I tried using Bing... It's good for finding restaurants and making me mad, but the last time I used it was like a year ago and it seemed to like to try and guess secret meanings hidden in my searches. I use bing because they give me points for searching. Not sure what points do but they might do something. I am currently on hold and I hate being on hold. I think I have been on hold for about half an hour. The looping music is getting annoying. As long as it's not Harpsichord music... 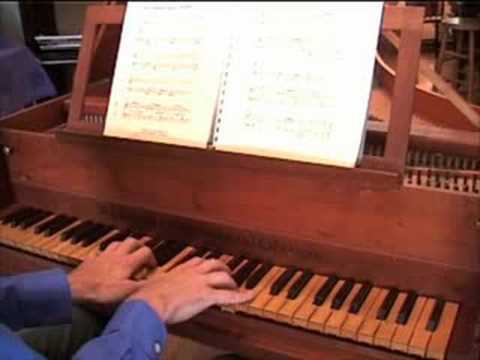 I was on the phone for thirty minutes waiting while "Most Unpopular Harpsichord Tunes of the Last Two Centuries" played on a loop... Got disconnected and had to go through t all over again. While that image of the 5 car garage was valid even just 30 years ago, the goal of higher education today seems to be earning enough money to be able to afford to move back in with your parents while you pay off your higher education before retiring at 80. Neither do I, but the start of the fast food chains coincided with the end of the drug store dining counter. ...yeah, I felt I've eaten at a few of those over the years. and there were no petrol pumps outside either. The lunch counter I miss was the one at the old Gimbels Department store in Milwaukee WI. They still even had Phospahte sodas into the 1960s. Got to talk to someone and now off the phone. All that waiting to talk to someone for a few minutes. Google is my friend. I like Google, it reads my mind. Bing tries to pick my wallet. If I were on a quiz show and allowed to make a call to a "friend" it would be Google. And that is what I mean when I tell people on the forum "Google is your friend". OK, complaint - someone forgot to lock the old thread and KK posted. This post was my first attempt to split his post out. Complaint: and this post was from the second attempt to split KK's post from the old thread, as the first attempt left it behind. Still, oil swell that end swell.